This is a long and complicated case that has been brewing in the French-language part of Switzerland about a case of plagiarism at the University in Neuchâtel that was reported on in Le Matin by the journalist Ludovic Rocchi. The university eventually suspended the professor in question, and he in turn accused Rocchi of libel and slander because he published about the plagiarism before the internal investigations were finished. The police searched Rocchi's house in 2012, looking for proof (Le Matin, Persönlich.com, NZZ), and confiscating papers and computers belonging to his wife, as well as hunting him down on a business trip and taking his laptop. This is apparently the first time such a thing has happened in Switzerland, according to Le Matin. Rocchi sued the government for illegal search and seizure (Le Matin, NZZ). The government felt that he had published illegally, as one is innocent until proven guilty, which is strange as in a plagiarism case one can easily document plagiarism and source, and plagiarism is not a crime in a legal sense, but academic misconduct. In April 2013 Rocchi published a detailed description of the copying in Le Matin, including interesting changes to texts that were about Canada or the Netherlands in the original and suddenly were about Switzerland. In May Rocchi detailed some problems in the professor's CV. It seems he listed positions at a university in Quebec that he didn't actually have. The Quebec university had previously asked him to remove these, and he promised to do so, but never actually did, according to Rocchi's report. It was eventually determined that the plagiarism was "partially given" (NZZ, Le Matin, 20 minutes) and that the mobbing within the department ran deep. This seems to be a rather common problem, as seen in the Zürich case this blog reported on recently. Rocci won his court case (NZZ, telepolis) but the government is appealing to the Swiss Supreme Court. 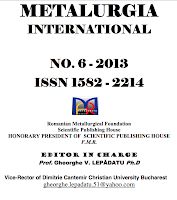 Spiegel Online, Laborwelt, and Retraction Watch have reported on a fake article that Serbian academics Dragan Z. Đuirić, Boris Delilbašić, and Stevica Radisic published in the Romanian junk journal Metalurgia International. The journal is indexed on Thomson Reuters ISI Web of Knowledge, lending an air of professionality to the publication that it does not deserve. The paper, entitled "Evaluation of Transformative Hermeneutic Heuristics for Processing Random Data", and published in Vol. 18, Nr. 6 (2013) on pp. 98–102 is a scream to read. It is available online at scribd, including lovely photos of the researchers wearing false wigs and mustaches. Start at the back with the reference section: long dead researchers with current publications, the Disney character Goofy (known as Silja in Serbian) publishing in a children's comic book, B. Sagdiyev (better known as the fictitious Kazakh journalist Borat) publishing with A. S. Hole, and of course a paper by A. Sokal. Following the usual and by now well-spread practice in many academic circles of producing insignificant research papers of great importance to pseudo science, our research aims at identifying “ground truth” for undecidability, and, however, this research is principled. Rather that rely on the overly-reasoned, wide-spread use of scientific apparatus, without consideration of randomness, we invent the following architecture. There are so many hints such as "Error! Reference source not found", bizarre diagrams, chaotically formatted references that would have been noticed by a referee, if indeed anyone had read it. But there was no peer-review. According to Spiegel Online, paying 140 € for the main author and 75 € for each additional author results in speedy publication, and a certificate of publication for submitting at one's own university. This issue has 70 publications with between 2 and 4 authors, so the journal publisher would have income of 20.000 €. Even paying someone to put together the PDF and the server charges, this is pretty good income for a journal published every month. The journal editor, Gheorghe V. Lepădatu, gives his affiliation as Vice-Rector of Dimitrie Cantemir Christian University Bucharest, although he uses a Yahoo address. This private university has been involved in some accreditation scuffles recently. The journal web site is currently "under construction", but the trusty Internet Archive has many snapshots of the web site. The ISI inclusion is most prominent on the page, the HTML is pure 90s, awash with colors, fonts, and blinking things. The system of evaluating the quality of a journal or a researcher with quantitative methods is broken and has been broken for some time. There are many people out to make money out of the need that people have for international publications, and the price is right. What will it take to make organizations realize this? Our trust in scientific publications is rapidly deteriorating, as they become more and more a business enterprise and less and less true research. I stumbled over an interesting legal note published in the Florida Law Review about copyright considerations with respect to forcing students to submit their papers to a plagiarism detection system that stores the papers or a derivative work such as a fingerprint. Plagiarism is a growing problem that evades a simple solution. Academic institutions must, in the interests of fairness, academic integrity, and scholastic progress, do all they can to prevent, detect and deter plagiarism. Counteracting plagiarism, which concerns the writing process, promotes ethical behavior and fosters a culture of academic trust. It is thus important for anti-plagiarism mechanisms likewise to be ethical and to foster academic trust. Turnitin, a solution to the plagiarism problem popular among academic institutions, infringes students' copyrights. Turnitin's key selling point, its massive database, is largely the product of archiving and copying of student-authored works. Both copyright law and copyright policy—the latter differing substantially from plagiarism-prevention policy—dictate that this archiving is not a fair use and infringes copyrighted works. Thus, to the extent that lack of concern for—and indeed mandated infringement of—student copyrights is unethical and fosters distrust in the academic community, use of the Turnitin system is counterproductive to the objectives of plagiarism prevention and is both an inappropriate and an ineffective remedy. Schools that use Turnitin also expose themselves to potential liability. Therefore, schools must seek alternative solutions to the plagiarism problem. 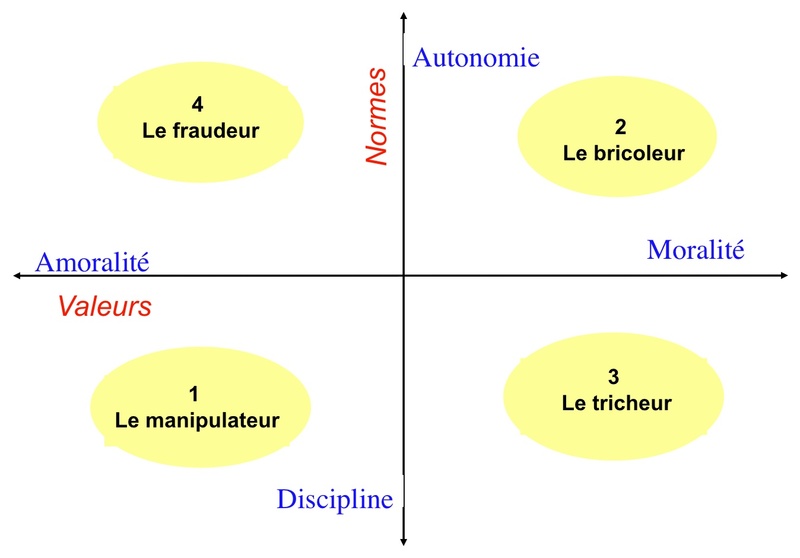 In researching the previous article I stumbled upon the web site of Michelle Bergadaà, professor at the University of Geneva: Responsable (Plagiat et Fraude Schientifique: La Perspective Académique). She has published widely in French over the past ten years about plagiarism, and issues an occasional newsletter in French. She has conducted a number of investigations, asking students and professors about the plagiarism problem and has gathered a lot of material in French on the site. She is also publishing about what I call mock conferences. So if your French is up to speed (or you can decrypt what Google Translate thinks the text says), give the site a good look! The so-called Mörgeli affair at the University of Zürich is a tangled mess of politics and science. Since the publications are all in German, I will try and summarize what they are reporting in English for my international readers, and give some links for those who read German. Christoph Mörgeli, a politician with the conservative Swiss political party SVP and honorary professor (Titularprofessor) for the history of medicine at the University of Zürich, was curator of the History of Medicine Museum. The chair for the History of Medicine at the University of Zürich, Beat Rüttimann, retired and Flurin Condrau from Manchester was named to follow him, joining the university in 2011. Condrau published a report in 2012 on the sorry state of affairs at the museum, according to the German daily newspaper FAZ, in an article by Jürgen Kaube published on Nov. 1, 2013 titled "Alma Natter". According to the FAZ, Condrau characterized the museum as out-dated, erroneous, not state-of-the-art, and not even properly cleaned. The institute and the museum each worked in isolation, Condrau postulated political reasons for this. But the worst problem was the teaching – students did not attend the sessions offered by the museum, only interested senior citizens were in attendance, according to the Swiss newspaper Tagesanzeiger. An academic fight broke out, with accusations flying back and forth, many published in the Tagesanzeiger. Soon lawyers and courts were involved. The assistant curator of the museum, Titularprofessorin Iris Ritzmann, was accused of leaking a secret report to the newspaper before it was published (they insist they obtained it in a different fashion). She was jailed together with her husband while their apartment was searched and then she was fired, according to the FAZ, for having given a journalist a password to the university student platform for learning materials. Why this would be important for the case is unclear. An international uproar ensued, with petitions circulating, politicians criticizing the university, and other media chiming in (Neue Zürcher Zeitung). Ritzmann took the university to court, filing for damages. Mörgeli was fired in September 2012, and has taken the university to court, stating that he is a victim of mobbing. This is going back and forth and has not yet been resolved. The Swiss TV program Rundschau from the SRF turned out to have been investigating accusations of Mörgli having granted degrees for substandard dissertations. They broadcast on March 27, 2013, including an interview with Michele Bargadaà, a professor at the University of Geneva who researches about scientific standards in doctoral theses and has published extensively about plagiarism (her site on plagiarism and fraud is available in French at http://responsable.unige.ch/). She did not speak about plagiarism at all, according to the transcripts, but with the current discussions of plagiarism in dissertations in Europe somehow the connection seemed clear. Rundschau also stated that 12 out of 60 dissertations had consisted only in the transcription of texts, nothing more. Mörgli filed complaints with the Swiss media ombud about a total of three shows. In the final report, the ombud upheld the rights of the TV station to broadcast as they did, with just a few minor reservations. Mörgeli filed a complaint then with the UBI, a higher ombud. They rejected all of the complaints unanimously in December 2013, according to the NZZ. According to the Tagesanzeiger, Condrau had been refusing to accept the dissertations that Mörgeli was mentoring since he joined the university. Until the end of Januar 2012, Beat Rüttimann, helped out by championing some of the dissertations that were currently being prepared. In July 2013 the association of professors of medical history criticized the University of Zürich because there were no second or external examiners at all for the granting of doctorates in the field of medicine. Instead, the theses are laid out in an office for 2 weeks, and if there was no protest, they were accepted. One of the evaluators went public with the accusations about the quality of the dissertations in SRF the end of November 2013, in parallel with all of the other issues mentioned above. The rector of the University of Zurich then stepped down in November 2013 when it was discovered that he had been passing on emails and notes about telephone calls, the Tagesanzeiger reports, as well as having had all the university emails checked to see who was corresponding with the press, according to the FAZ. There are additional side stories on missing bones and what-not, but this explosive mixture is nasty enough as it is. Instead of bickering and accusing each other and insisting on secrecy about things normally publicized, the participants should perhaps all be striving for utter transparency and honesty – and then get back to doing research. They are scientists, after all. The Universität der Bundeswehr (German Army University) in Munich has rescinded the doctorate of Jakob Kreidl, a local politician in Bavaria, as the Süddeutsche reports on December 12, 2013 in an article entitled Wegen Plagiaten: CSU-Landrat verliert Doktortitel. VroniPlag Wiki case #44 was published in March of 2013, the thesis has plagiarism on over 90% of the 286 pages. Of these, 137 are more than three-quarters plagiarized. The amount of plagiarism documented is second only to the thesis of former German defense minister Karl-Theodor zu Guttenberg, also a politician from the Bavarian conservative CSU party. Kreidl's excuse was that he had so much to do as a politician during the five years that he worked on the thesis, that he lost control of what he was doing. He has announced, however, that he is not withdrawing from politics. A list of articles about the case can be found on VroniPlag Wiki. For readers with some spare time over the holidays who can read German, here a link to the entry Plagiarius Litterarius in Zedlers Grosses vollständiges Universal-Lexicon Aller Wissenschafften und Künste – from 1741! PLAGIARIUS LITTERARIUS, der gelehrte Dieb, wird unter den Gelehrten derjenige geheissen, der eines andern Sachen abschreibet, und vor seine eigene Arbeit ausgiebet, anbey aber den rechten Autorem, woraus er seine Nachrichten und Künste gezogen, nicht nennet. Und diese Gewohnheit heißt Plagium Litterarium, der gelehrte Diebstahl. Vom Plagio und Plagiariis hat Jacob Thomasius am ausführlichsten geschrieben. Doch ist kein Zweiffel, daß sein Catalogus Plagiariorum sehr vermehret werden könnte, nachdem der gelehrten Diebe immer mehr und mehr werden. The answer to a question journalists often ask: Did plagiarism arise with the Internet? No! The journalist Dino Jahic reported in the Süddeutsche Zeitung on December 23, 2013 (no direkt link, as the Süddeutsche wants license fees for the "content" in their links) in an article entitled Bestechung auf dem Balkan: Skandalort Hochschule (Balkan Bribery: Scandalous Universities) on the ease with which one can obtain a university degree in Bosnia and Serbia. For a price, anywhere between just 700 € and 5000 € depending on the school and the field of study, a degree can be obtained with a back-dated matriculation form at some schools, attaching money to a written examination can insure that it will be marked "passed." Unfortunately, none of the informants would go on the record with their experiences but would only consent to be interviewed anonymously. A university degree is necessary for many jobs in the public sector, so there is much interest in obtaining a degree with as little effort as possible. Bizarrely, instead of the Balkan governments investigating the quality of their own degrees, persons with foreign degrees from suspicious universities such as the University of Oxford in England often have to wait for months for their degrees to be accepted as equivalents. The pseudonymous researcher Robert Schmidt continues to work on a documentation of irregularities in the dissertation of Norbert Lammert, the parliamentary president of Germany. He has now encountered additional interesting indications of copying. On page 32 of the dissertation a reference is given to Eldersveld, p. 408f. One source, Mühleisen, attributes a different statement to Eldersveld from the same page. However, there is no mention of the contents Lammert's statement refers to on the page given, but there are other pages that are close to Mühleisen (p. 16, p. 19). Such things happen: two numbers get switched, a 1 is mistaken for a 4 or a 7 because one's notes were taken in terrible handwriting, off-by-one. However, when another writer makes the exact same mistake, it is curious. When there are more identical errors in bibliographic data, such as wrong names or titles as found, for example, on page 52, some serious questions arise. However, the president of the University of Bochum decided that there is no case here, end of the discussion. Robert Schmidt forwarded a copy of a letter to me that he sent to the Minster of Innovation, Science, and Research in North Rhein-Westphalia. In that letter he analyzed the legal basis for dealing with plagiarism cases in doctorates that have already been granted and came to the conclusion that in Bochum, as at most other universities, it is the job of the individual schools or departments (Fakultäten) to decide what to do. The ombud for good scientific practice is primarily installed as a place for whistleblowers from the inside to point out cases of academic misconduct. The ombud can forward other cases to the dean in question, but the granting and rescinding of degrees is solely the job of the affected Fakultät. In Bochum, however, the rectorate of the university decided not to open a case after an initial investigation by the ombud. The Fakultät was not consulted. He requested that the ministry, as the supervisory body for the university, look into the question. It is, perhaps, "only" a procedural question. But if the university gives itself rules, why does it not follow them? offensichtlich unter Verschleierung Ihrer Identität an das Ministerium wenden, in der Sache keine Stellung nehme. Obviously? I did not realize that it was necessary to send a copy of one's identity card along with a letter questioning whether proper procedures were followed. I think the ministry needs to read Robert K. Merton. It does not matter what the position is of someone who states a truth or asks a question. Professor or student, laboratory assistant or janitor, Nobel prize winner or academic without a job: What counts is the CONTENT of the statement or question. I also fail to see that "Robert Schmidt" is an obvious cloak. Honeybee123 is perhaps clearer as a name that is probably not on an ID card, but there are numerous Robert Schmidts who were born with that name or who changed to that name upon marriage. I suppose it is a welcome dodge for avoiding answering uncomfortable questions, but what if that was, indeed, his name? I hope to be able to post some of my backlog over the holiday season. This post is by Bela Gipp. I was an external examiner for the doctoral dissertation on Citation-based Plagiarism Detection that he defended in September at the University of Magdeburg. A student project at my university helped Bela develop an interface for his system. Can citation patterns help detect heavily disguised plagiarism in academic documents? A while back, Retraction Watch, a blog on scientific integrity, reported on five plagiarism cases discovered in Neuroscience Letters. Three cases translated Chinese originals into English, while another translated a French text into English. None of the cases acknowledged they were translations. Translated plagiarism remains one of the most difficult forms of academic misconduct to detect. Since few researchers actively follow the literature in multiple languages, peer review is unlikely to recognize translated plagiarism. Software is largely useless in helping to identify translated plagiarism, because today’s plagiarism detection systems rely on a minimum amount of text similarity to spark suspicion, yet translations typically contain very low or no textual overlap. When documents use different alphabets, e.g. Chinese, Korean, or Russian characters compared to Latin characters, available detection systems stand no chance. 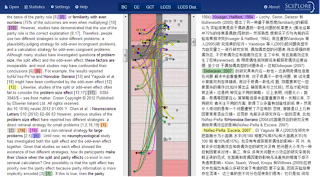 A new approach for plagiarism detection, termed Citation-based Plagiarism Detection (CbPD) goes beyond literal text similarity to detect potential plagiarism. The citation-based approach examines the in‑text placement of academic citations to form a language and text independent “fingerprint” of semantic similarity. The practicability of this citation-based approach was initially demonstrated in an analysis of the translated plagiarism in the prominent plagiarism case of K.-T. zu Guttenberg. Recently, a group of researchers in cooperation with students from the HTW-Berlin developed the first citation-based plagiarism detection prototype, “CitePlag”. 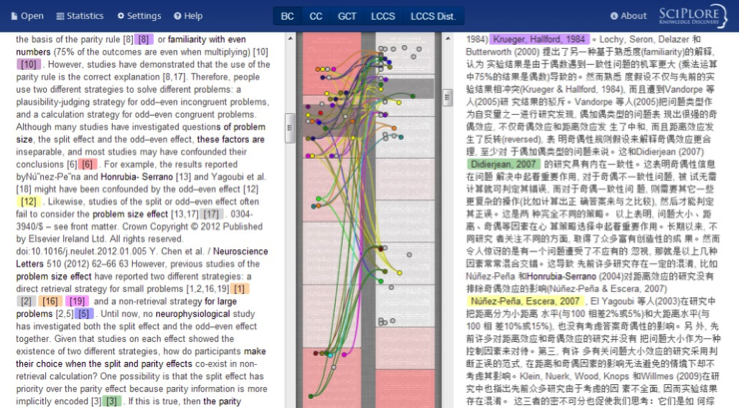 In the image below, CitePlag visualizes one of the five articles that were retracted from Neuroscience Letters. No textual similarity remains between the two publications, since the plagiarism (left) is a translation into English of the Chinese original (right). The citation-based approach, however, identifies and connects matching citations in a central scrollable column for human inspection. Examine this example for yourself in CitePlag. For more information on the prototype and the algorithms it implements, refer to this publication. A medical article in Indian Journal of Urology was recently retracted after the CbPD approach identified a notably high citation pattern overlap with a journal article published in another journal two years prior. The citation-based similarities, as well as the text, which the retracted article shared with its source can be examined using the prototype here. Jeffrey Beall published the "evaluation form" from a scientist who was lured to one of the many OMICS mock conferences. He describes pretty much all of the behavior that is found at such conferences: no involvement of the people on the committees, shortening the conference, massive no-shows, lots of pictures and awards and a fancy web site. It took a lot of effort on his part to get his name removed from their web site, the entire page has now been pulled. Perhaps scientists should quit attending large conferences at hotels, instead sticking to smaller, focused conferences held at universities? OMICS also publish a wide range of "open access" journals that are on the predatory publishing list. I wonder how many of the "editors-in-chief" actually know that they are editors here? One of the commenters noted that there is now a CWTS Journal indicator that calculates an impact factor that is normalized according to the field for journals in the SCOPUS database. I looked up a few journals, they seem to have only English-language journals listed. Even just looking at my field, I see so very many journals, how on earth are people able to read all of them? It might be good to check out the journals you are planning on submitting to before you dash off that manuscript.